A typical Filipino home, no matter how big or small, grandiose or reserved, is never without a place where each family member gathers together—the living room. Aside from being the favorite backdrop of family pictures, the living room or the “sala” as we call it, is also the center of family activities. It is one of the most used venues for family gatherings; from special celebrations down to daily family routines—fathers reading the paper in the morning, moms entertaining her visiting kumare and children, doing what they do best; playing. 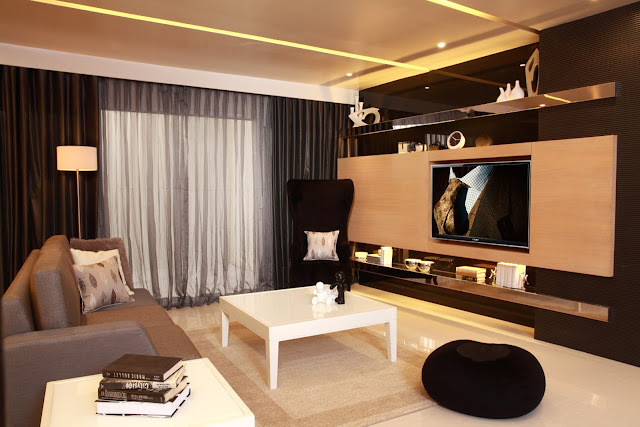 Most often, the living room is the area where families spend their time together, glued to their favorite teleserye, never to miss an episode. Each time you open a door to a home, there are stories waiting to unfold. It is a place where strong relationships are built, where dreams are realized and where memories are made. With the advent of “me-gadgets” however, what was once a place heaving with family members has eventually turned into a vacant spot. Equipped with laptops, tablets and other personal devices, we have kept ourselves isolated, away from the living room. Over time, we also learned to seek for other entertainment options outside our homes—cinema houses, arcade games, amusement parks even concerts. The more we indulge in the luxury that the “me-gadgets” and the outdoor entertainment offered, the less we pay our sala a visit. It was the cycle that most Filipino families have been accustomed to until DEVANT’s resounding entry. Our home is, after all, not a just a place we live in, but a place we return to. With this in mind, DEVANT makes it a point to offer Filipinos TVs that are worthy to reclaim its place as the centerpiece of entertainment and eventually, bring families together back into the living room. Born of style and function, DEVANT TVs were designed with the sleekness and cut that speaks of modern design, enhanced with the finest home entertainment technology. It is, without a doubt, the ideal main attraction of the living room—whatever the personality of its owners. For a household of movie buffs, watching movies has a whole new meaning with DEVANT TV’s cutting-edge technology and innovative TV features. Set with top-notch video, picture quality and surround sound speaker system that produces rich and full audio precision, DEVANT TVs are definitely the answer to every movie lover’s need for an outstanding movie experience. Gone are the days of simple TV viewing—DEVANT changes how movie marathons are seen. For a brood of gaming fanatics, DEVANT TVs give the living room a power-up. Never again will a gamer have to go to an arcade mall, now he can simply plug his game console to a Devant TV and take a plunge into a supercharged gaming experience. In just a plug away, the Devant TV can easily turn a normal living room into a bustling game hub. For a group of internet savvies who are in constant need to be online, DEVANT TVs also have it covered. DEVANT SMART 3D INTERNET TV allows the user to check Facebook, Twitter, YouTube and even Picasa albums in just a click of a button away. Through its wide screen, DEVANT TV makes online surfing and social network browsing a grand experience. More than just having a living room TV that satisfies our need to be entertained, DEVANT TVs also make the dream of owning a wide screen TV a reality to everyone. Priced within the means of a typical Filipino family, DEVANT TV is clearly the best pick to be the main attraction, the pride and joy of every Filipino sala. The Filipino living room has indeed gone a long way and has evolved with the changing times. From a simple place for the family to gather, it has become a dynamic space that transforms according to our needs. With DEVANT TV front and center, the conversation starts buzzing, everybody starts talking, and the living room is once again, everyone’s favorite part of a home.